We are a boutique candle & home fragrance brand, proudly designed and hand poured in New Zealand. We also run perfumery workshops where you can make a your very own personalised fragrance. At MILLER ROAD we take fragrance seriously! It's our passion and we hope to evoke some old or new fragrance memories for you as you join us on this fragrance experience. We are thrilled to share our beautiful hand poured Coconut & Soy fragranced candles with you and the people you love. 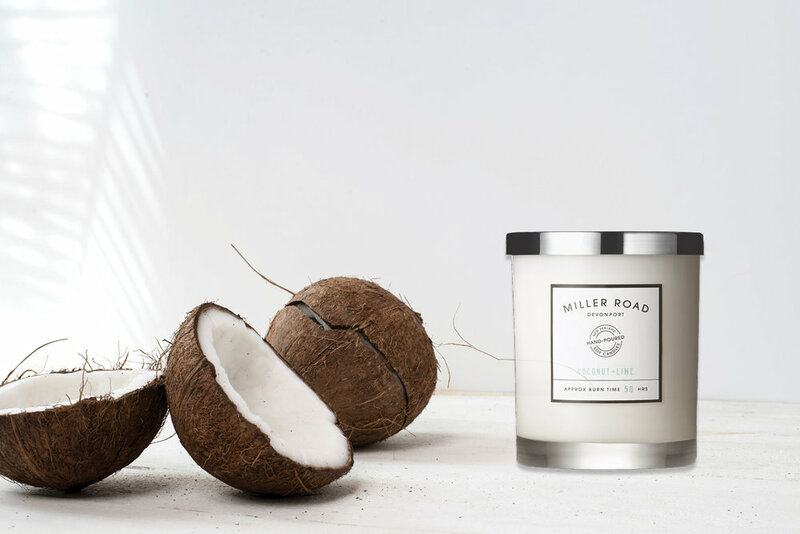 Miller Road Candles & home fragrances make an affordable gift for friends, and add a daily touch of luxury to your own home. Our candles are stylishly packaged, and tied with our signature ribbon. Sign up with your email address to receive news and updates, and be the first to hear about our gorgeous new products!